During Halloween, Club Penguin always experiences strange weather. This can cause problems in our security equipment. 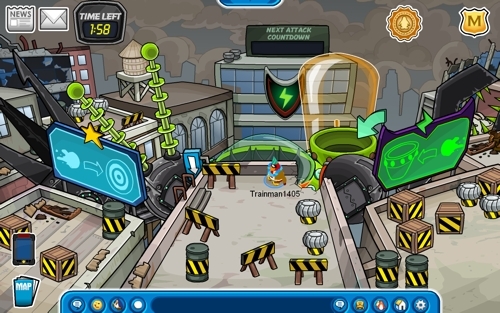 Check all EPF electronics and computers to make sure they’re secure. We must be certain Herbert’s security won’t fail. The field op was located in the Command Room next to the System Defender game. The game was to enter directions (arrows) to move the bot across the points. Another update on this day in 2011 was the featured postcard selection being updated so players could now send Halloween themed postcards to other penguins. Club Penguin also hid a new pin, themed appropriate for Halloween. It was the Crystal Ball Pin and could be found at the Hidden Lake. This is the fourth pin to have been hidden in that room and is Club Penguins’ 183rd pin overall. Also, at the Stage, the Night of the Living Sled: Live play was released for the first time ever. Players could act out the classic Club Penguin film “Night of the Living Sled”. A few other Halloween themed updates occurred too. The biggest one was the year’s annual Halloween Party beginning. 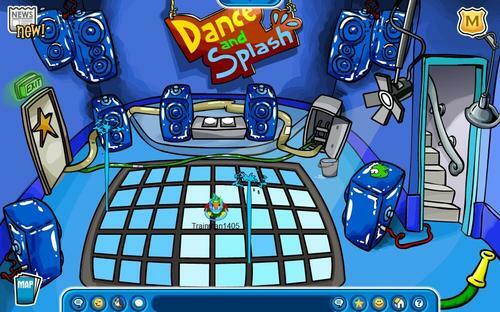 This was the first year the Halloween Party was released before the Anniversary Party, as prior Club Penguin would always hold their Anniversary Party on the 24th and follow it up with a Halloween Party until the end of the month. Compared to the years prior to this one, a lot of the rooms were decorated differently than before. There was a candy ghost scavenger hunt, the prize being a background. The free item for all players was the Ghost Costume at the Haunted House. Gary was waddling around for this party, too. The Trick-or-treat stamp, which is unlocked by visiting 10 Trick-Or-Treat Igloos during a Halloween Party, was released alongside this party. The special rooms at this party were the Haunted House, Secret Laboratory, Dark Swamp, Dark Chamber, and Monster Room. The final update that is Halloween related was that year’s Halloween igloo decorating contest beginning. 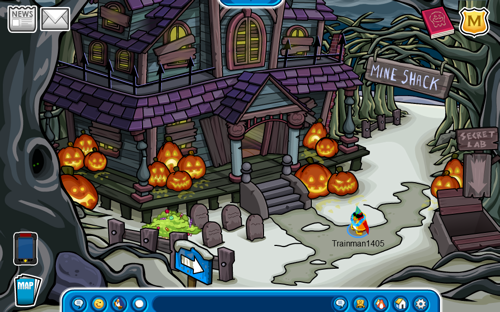 Members could decorate their igloos in a spooky manner and submit it to Club Penguin for judging. As for 2015, a new free item was now available at Club Penguin’s 10th Anniversary Party celebration. Club Penguin was bringing back items from past parties for 21 days straight. Today’s particular item was the Candy Cane Hat.